Come see all that Austin has to offer! Our leisurely 10 mile Austin in a Nutshell Tour is the best way to see all of the notable landmarks in and around downtown, as well as the famous Lady Bird Lake Trail! 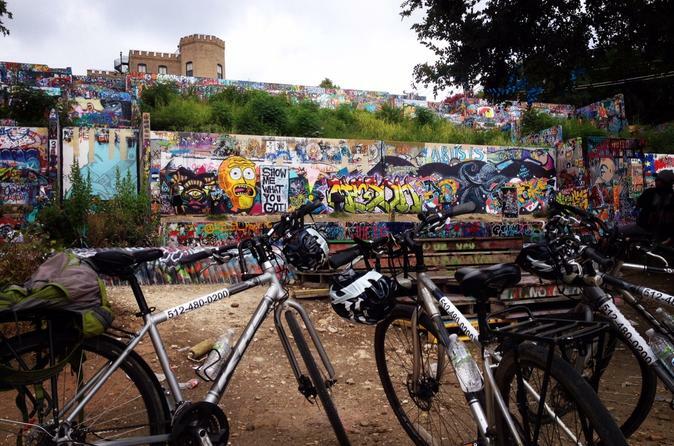 The tour begins by going along the famous Town Lake Hike and Bike Trail, Barton Springs Pool area, and Zilker Park. It then turns north to the Texas State Capitol where you will not only see downtown close up, but also learn a lot of the city's history. It is a great way to see a really large swath of Austin. All bikes are included in the price as well as a water during and after the tour. Helmets are required for anyone under the age of 18. Make sure to bring comfortable shoes for bike riding and your camera for all the great photo opportunities.